This Set of 4 Premium Drinking Glasses from Scandinovia are some of the prettiest drinking glasses I own. The 8 ounce glasses are perfect for children or adults. 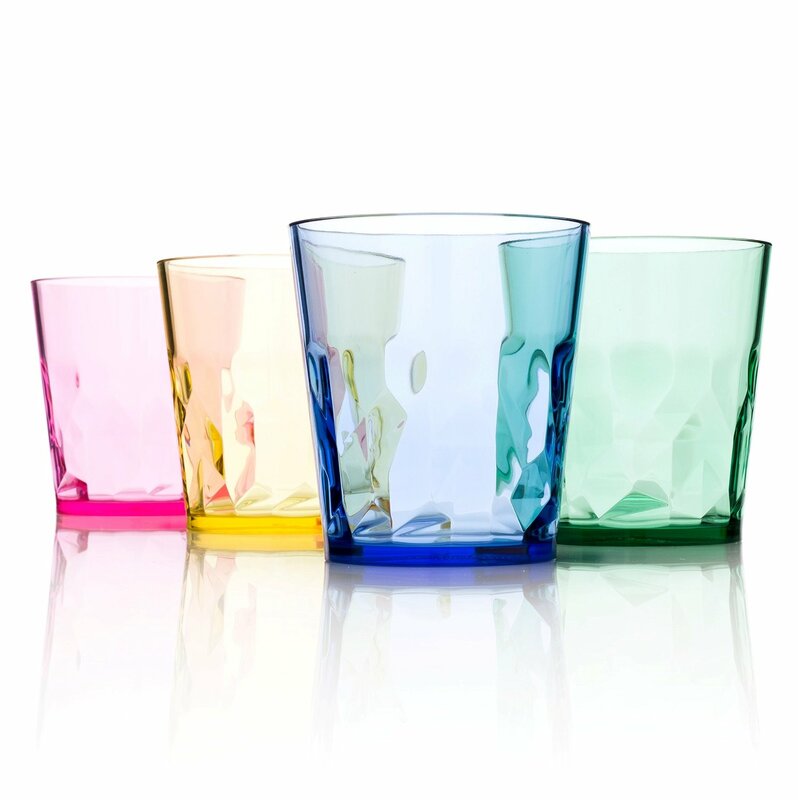 This set of four tumblers comes in assorted colors so it is easy to tell at a glance which cup belongs to which of my grandchildren. Though not large enough for some adult needs, they are perfect for a glass of juice or smaller portions of anything you care to drink. I use them quite often. They are beautiful to look at and look more like glass than plastic, yet they are sturdy enough to hold up to my grand kids. I have only been using them for a short time, but they have survived several drops and being banged around and they still look great. They work well for kids, but are also attractive enough to serve drinks to guests.